Love & Basketball and Beyond the Lights director Gina Prince-Bythewood is set to tackle police brutality in a new Fox miniseries starring Sanaa Lathan, Deadline reports. 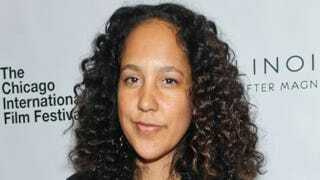 Prince-Bythewood and her husband, Reggie Rock Bythewood, share writer credits and will also share executive-producer credits with Empire Executive Producer Brian Grazer and Imagine Studio's Francie Calfo. The project, tentatively titled Indictment, flips the script on high-profile police-brutality cases currently dominating the news. At the center of this story, a black police officer kills an unarmed white teen. The series will follow the investigation and the racial tensions that arise as public interest in the case grows into a frenzy. [The project] examines the dangerous aftermath of a police shooting when an African-American cop kills a white teen in Tennessee. The untitled drama (aka Indictment) had been in development at Fox for a while. A pilot script has been completed, which the network has followed up by ordering a bible with the intention of picking up the project straight to series once the bible is delivered. The untitled Gina Prince-Bythewood event series, from 20th Century Fox TV and studio-based Imagine Television, will star Lathan as an expert investigator who digs into the police shooting case, alongside a special prosecutor sent to the town by the Department of Justice. The pair must navigate the media attention, public debate and the social unrest that comes with such a volatile case as they seek justice before the divided town erupts in a race war. It's revealing, and predictable, that Fox is tackling police brutality in a way that doesn't reflect the reality of extrajudicial killings across the nation. What will be even more revealing is how quickly #BlueLivesMatter viewers call the African-American cop a "thug" and the white victim, well, a victim—deserving of respect and justice so often denied black victims in the real world. If done correctly, and not in an #AllLivesMatter, let's-take-race-off-the-table way, Indictment has the potential to be a powerful, cultural moment that transcends TV land.